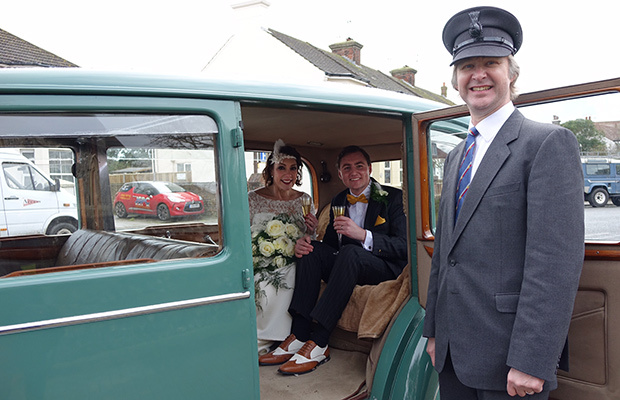 This beautiful, original Rolls-Royce 20/25 Limousine is the perfect chauffeur-driven wedding car service to rent for your wedding, photoshoot or period drama. "A lovely, friendly service from JP and his new pride and joy ‘Peabody’. Highly recommend this beautiful 1934 Rolls-Royce for hire in and around Worthing! Many thanks, she was a great feature for our special day, and the bubbly was a wonderful bonus!" A chauffeur driven Rolls-Royce is perfect for your wedding day. Arrive at your ceremony in style. 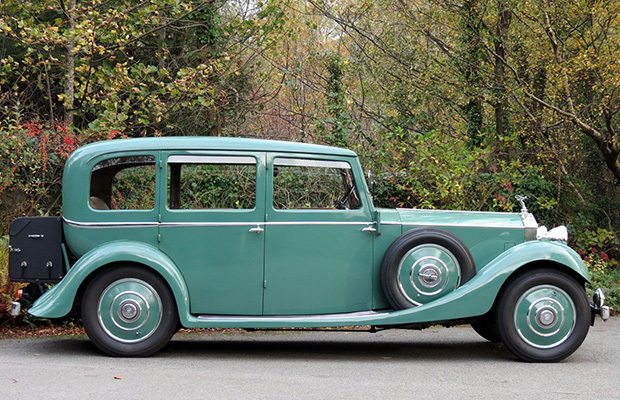 A unique, if slightly quirky, 1934 limousine steeped in history and an unsurpassed pedigree. 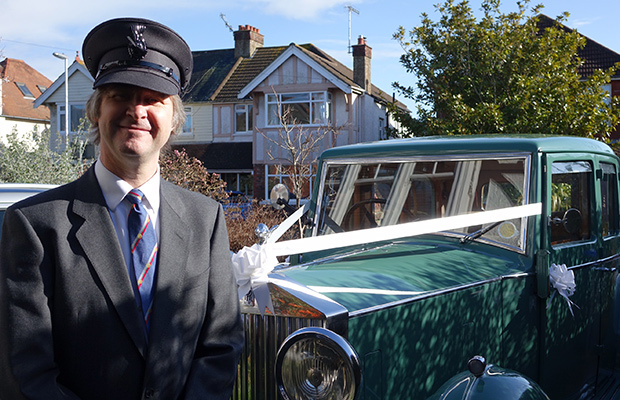 John-Paul, your professional, friendly chauffeur will arrive on time with 'Peabody' decorated with ribbons. 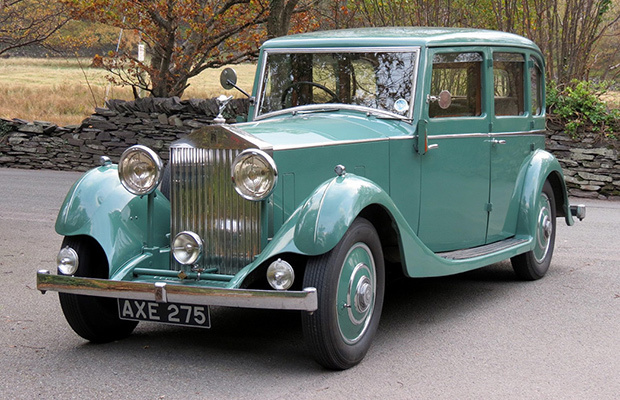 A perfect addition to your film set or photoshoot with this classic vintage Rolls-Royce car.